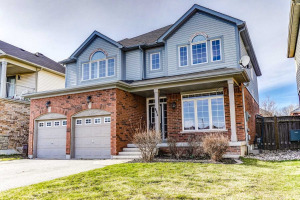 Completely Renovated Jeffery-Built Home In Desired Enclave Of Executive-Style Properties In Oshawa. Featuring A Bright Kitchen With Stainless Steel Appliances & Granite Counters. French Doors Separate Formal Living & Dining Areas, Perfect For Entertaining Large Groups! Family Room With 9Ft Ceilings & A Cozy Fireplace! Upstairs To 4 Spacious Bedrooms, The Master With Stunning Ensuite Bath Complete With Heated Floors, His And Hers Sinks & Glass Encased Shower! 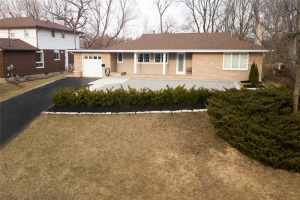 Finished Basement Boasts A Large Recreation Room, Exercise Area, Office Space, & 3 Piece Bath. Walk-Out To Yard With A Large Composite Deck, Relaxing Hot Tub, Professional Landscaping, And Powered Garden Shed! Highways & Amenities Nearby!